You're here because you're a fan of Thorouhbred breeding and pedigrees. But can you be more specific? 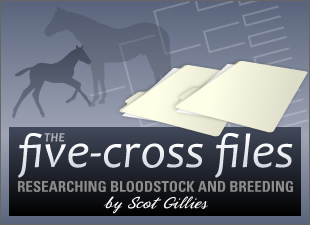 By now I hope you're familiar with the Pedigree Analysis columns on BloodHorse.com (including Porter on Pedigrees by Alan Porter and Mahubah's Corner by Avalyn Hunter). You're reading this post, so you're familiar with The Five-Cross Files. You've probably read or seen references to the TrueNicks blog. If you've read these features for a while, you're part of our community of pedigree/breeding enthusiasts. And we're guessing you have opinions. So I ask you: Please take the three-minute BloodHorse.com Pedigree Analysis survey and let us know what you like reading, what you want to see more of, and even what you think might be overplayed.